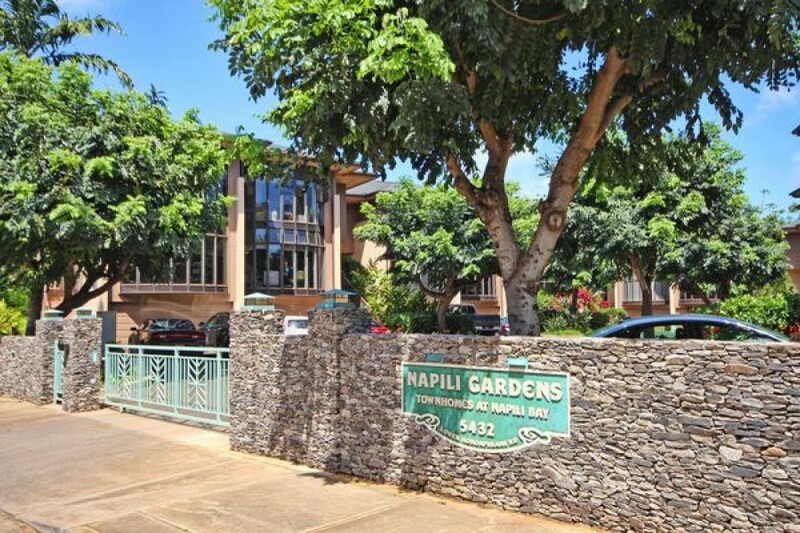 Napili Gardens Getaway Combo (#4 and #12)​ is composed of 2 units, Napili Gardens Getaway (#4) and Napili Gardens Getaway (#12). They are similar units in the same complex. These beautiful units are both three story condos conveniently nestled between the Napili and Kapalua beaches. Both town homes are roomy and are styled with a contemporary island feel. All bedrooms are newly carpeted and your whole company will have ample living space. The condos are cooled by centralized air-conditioning. Each has private yards perfect for private BBQ. Also available in each condo are two-car garage and washer and dryer. These two ultimate vacation destinations are just a few steps away from the gorgeous Napili Bay. Beautiful sunsets await you with the views of the Lanai and Molokai Islands. Swimming, snorkeling, surfing, scuba diving, hiking, golfing, and playing tennis are some of the endless activities that you can engage in during your stay. Surf at the famous Honolua Bay just a short drive away. Restaurants are also close by: The Gazebo, Pineapple Grill Kapalua, Sea House Restaurant, Sansei's Sushi & Seafood, Merriman's Kapalua, and the Banyan Tree at the Ritz Carlton Kapalua. Located 500 feet from Kapalua Golf & Tennis Resort. Our homes will be your home where you can make good lasting memories with your family or friends! Great condo for whole family group !! It was in a great location right across from the beach. It suggested cleaning the sand at the beach but there were no places to do it. If we used the resorts showers the asked us to leave if we weren't staying in the resort. The ones for anyone to use where not working. That was the only problem we had. Thanks for a great trip!